Organisers of the Festival Supplier Awards have today announced that the Event Hire Association (EHA), the event industry’s leading trade association, will be the headline sponsor when the Awards take place at The Hurlingham Club this evening. 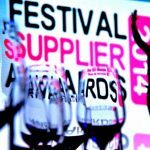 EHA offers a hosts of products and services that meet the needs of hirers and suppliers in the festival and outdoor events marketplace making the Festival Supplier Awards the perfect platform to gain further exposure for the association. These include the launch of the EHA’S new Code of Practice for Portable Sanitation for the events sector; the EHA SafeHire Certification Scheme, a new print on demand licence for their members, Future Hirers initiative and EHA training schemes for LPG use, insurance and IOSH being just some of the talking points.